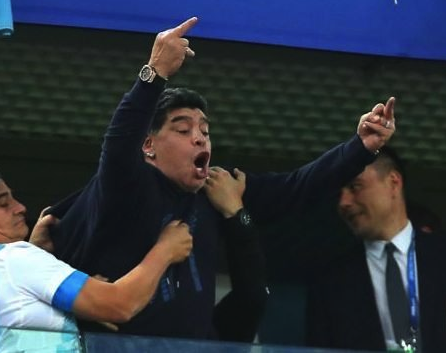 Football legend Maradona has been removed as ambassador for FIFA and will no longer be paid over his poor conduct during the Argentina and Nigeria match. FIFA had considered his behaviour embarrasing and hence will no longer be entitled to the fee he do receives from the world soccer governing body for bringing the spotlight to any world cup match he witnessed live. He has also been urged to be of good behaviour in the remaining games he’s going to watch at the world cup if he is to avoid a possible stadium ban.